Best Integrated Amps Under 2000 Review: Top-5 in April 2019! An integrated amplifier is the combination of a preamp and a power amp in one unit. Unlike a stereo receiver which is an AM/FM radio combined with an amp, an integrated amp concentrates on the signal processing and not the signal source. As such, integrated amps are a perfect compact and inexpensive solution for a comprehensive power and sound management device. Analog audio inputs including RCA audio and phono as well as balanced XLR audio inputs. Digital audio inputs including a built-in digital-to-analog converter (DAC). 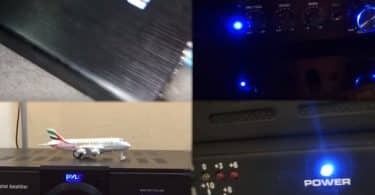 This component is designed to accept digital audio signals from many HDTVs, CD/DVD/Blu-ray players, network music players, and computers. Also look for Optical (Toslink) and Coaxial (RCA) digital audio inputs as well as USB type’s A and B, and an Ethernet port. You must get wireless connectivity including an integrated W-Fi® and Bluetooth® component, and if you are into IoT, consider a unit that has with Apple AirPlay® for streaming from iPhone® and iPad. 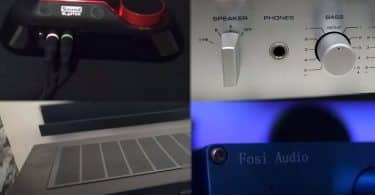 When it comes to outputs, you will want the standard headphone jack, a subwoofer output, and if possible a Preamp out/Main in the connection that enables you to physically disconnect the amplifier and preamplifier from each so you can use them independently. One final option to consider and is a very useful output is a dual speaker connector for A and B speakers. When it comes to size, you have a lot of options, from the compact professional models that are streamlined for space and come with exceptional heat management components, to the fancy big boxes used in home entertainment systems. In terms of power, the golden rule of amps and speakers apply here as they do for any amp system. The amp or integrated amp must not be weaker than the sum of the speakers attached; it has to be equal to or up to double the power of the sum of the combined speakers attached to provide optimum performance. In terms of absolute power which is rated in watts for the amp and ohms for the speakers, these ohms are what is termed impedance, and all amp manufacturers provide recommended impedance such as 2, 4, 8 Ohms. Remember that the more speakers you use, the higher the impedance and therefore the amp has to be powerful enough to handle the sum of all the speakers together. One feature to consider is choosing a dual over a mono model. A dual or stereo model splits the sounds between the two speakers, and a true stereo speaker system will provide that perfect home entertainment sound that is sought after. 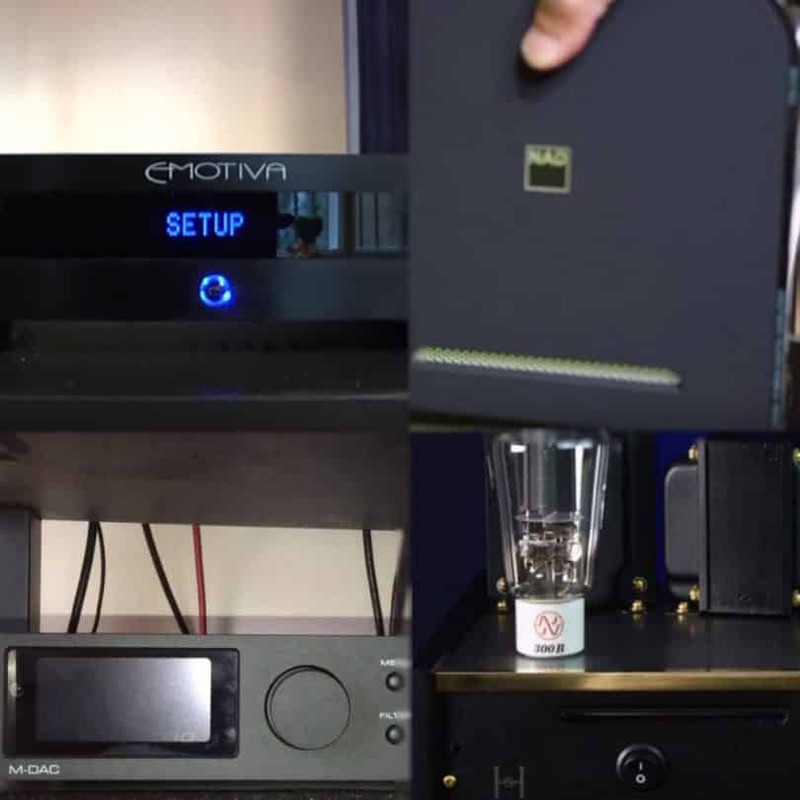 The bottom line is that an integrated amp is the best solution for home entertainment systems, and again, unless you are a sound technician or a musician in need of a comprehensive sound recording studio which requires individual components for total control over every stage of the sound management process, integrated amps are the best way to go for everything else. Now let’s take a look at the five best-integrated amps under $2000. 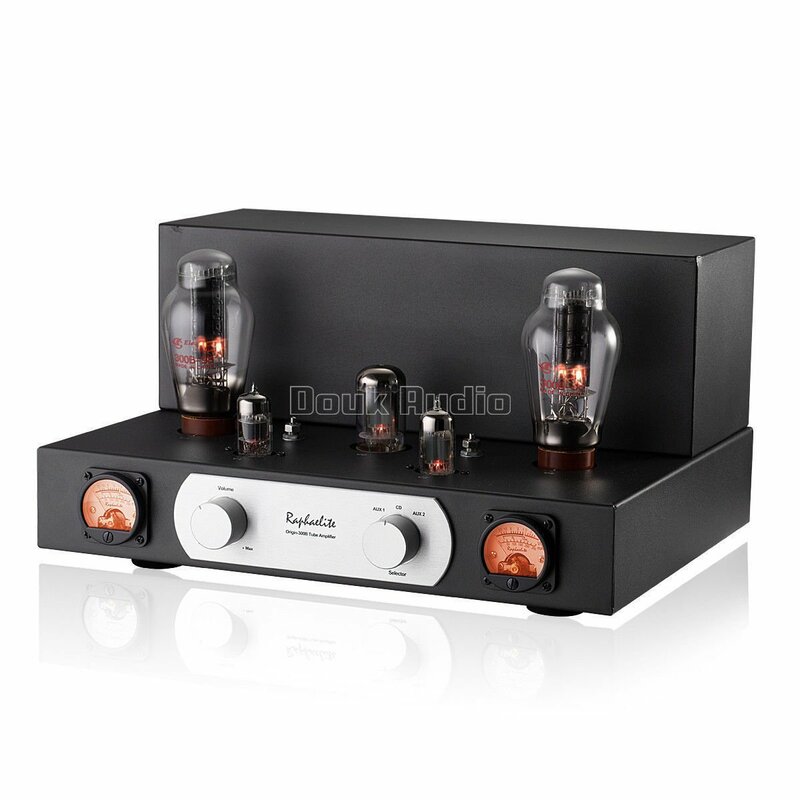 This is the Nobsound Raphaelite Hi-End 300B Replaceable Vacuum Tube Integrated Audio Amplifier that uses a 9-pin amp tube. This is the mad scientist’s integrated amp. Designed to look cool, and uses 9-pin voltage amplifier tubes with an adjustable 300B filament balance potentiometer, this model looks cool and works wonders for your sound system. The cover is made from aluminum alloy, so it’s protective from electromagnetic interference, and the terminals are all gold plated copper attached to a hi-end power transformer. The VU meter is a 45mm precision linear model for that classic analog display offering an accurate detection 300B operating point. The other meter is an original ALPS 27 type carbon potentiometer. The input sensitivity of this model is 360mV, and the output is set to 2 x 8W (RMS). The sound to noise ratio is 80dB with an input impedance of 100KΩ, and an output impedance of 4Ω and 8Ω. This is no lightweight box, it weighs 18Kgs, which shows how much importance is put on maintaining a solid, rugged, and durable performance. If its style as well as great output, then this all-tube model is the perfect solution for your home entertainment center. This is no modern looking product, it’s taken straight out of a 1930’s sci-fi movie style and is totally retro but with a beautiful satin black finish for a modern touch. This is the TOA A-724, 240 Watt Integrated Mixer Amplifier with 6 line/Mic inputs. The TOA A-724 is pure modern solid-state technology designed to provide a no-nonsense performance with an abundance of controls, inputs, and outputs. In fact, this is a Nine Channel Integrated Mixer model with Two Auxiliary Inputs and comes with Transformer-Isolation for Telephone Paging Applications. It works with 25 V, 70.7 V, and 4 Ohm Speaker Outputs. This sleek black box of performance comes with 6 line/mic inputs, an additional 2 line inputs, and 1 module input. It is designed for PA systems and has a rated output of 240W. The inputs of this model are -70 to -50 dB*, 600 Ω (MIC)/ -10 dB*, 600 Ω (LINE) and include a 3 pin transformer balanced removable terminal block and five 3 pin electronically balanced removable terminal block jacks. The additional 2 line inputs include a -20 dB, 10 kΩ, unbalanced, RCA jack. The module input is a -20 dB, 10 kΩ component and the power amp IN is a 0 dB, 10 kΩ, unbalanced, RCA jack. This model comes with a 5-point LED output level meter, and a Power indicator LED. The overall finish is a black hairline ABS resin front panel with a black steel plate case, and the unit weighs 13.5Kgs. This is a very inexpensive model that is basically designed for multi-channel paging systems and is a perfect commercial solution for schools, churches and large multi-story retail stores. The Audiolab M-ONE is a novel addition to the M-DAC series and is a perfect innovative integration of DAC and amp fitted into a compact box of performance. This model provides you with a lot of connections, and including analog and digital, as well as aptX Bluetooth and USB, providing up to 384kHz resolution audio. The M-ONE is an audio lover (music) integrated amp and comes with the classic sating brushed aluminum case, two rotary control dials, and a simple LED display. This model processes PCM audio data up to 32-bit/384kHz via USB. The USB input supports DSD files including DSD64, DSD128, and DSD256. The M-ONE also gives you three PCM filters and four DSD tailoring options. The volume control is analog, and provides a 40w per channel for 8 ohms as such you enjoy a low-noise linear power supply incorporating a shielded, precision-wound toroid transformer with multiple power supply sections that assure minimum crossover interference. You also get the classic headphone jack for silent listening experiences. When it comes to simple yet big, this small compact model is one of the ultimate home and office integrated amps that not only saves space but provides a comprehensive yet focused and powerful performance. The BasX TA-100 is a comprehensively integrated amp that combines the preamp, amp, and an FM tuner all in one neat package. The preamp component lets you connect to analog, digital and USB DAC devices. The tuner gives you 50 station presets with full digital control and power amp (class A/B) for a 50 watts RMS, with the channel at 8 ohms, a 90 watts RMS with the channel at 4 ohms; and a sound noise ratio of > 115dB. The body of this model is made from a heavy-duty steel chassis that is integrated with a solid milled aluminum faceplate. This device gives you audiophile quality output with the versatility that comes from 24/96k USB input, 24/192 coax, and optical S/PDIF inputs, and an optional Bluetooth receiver. Highly optimized circuit layout for low distortion, wide bandwidth, and a silent noise floor. VFD display with 3 dimmable levels. This is a classic and comprehensive home audio component that combines the wonders of a preamp with a power amp and an FM receiver. This saves space, saves messy wires and connections to power sources. All in all, a great home entertainment integrated amp and receiver solution. 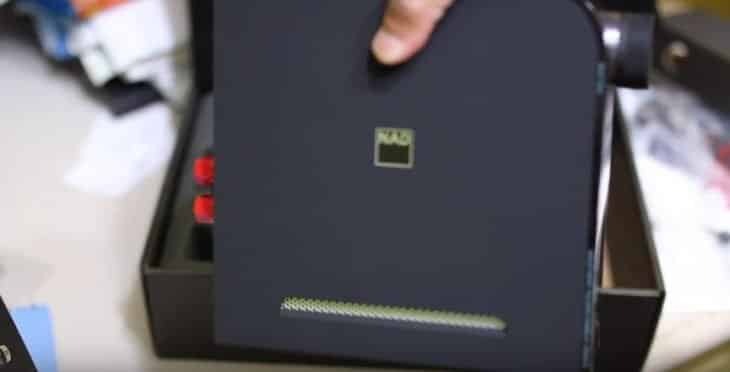 The original NAD 3020 stereo amplifier came to life in the 1970s and to celebrate this achievement; NAD has created a retro compact NAD D 3020 unit that combines all the wonders of an integrated amp with the innovations of the IoT era. This model is compact and sits up, rather than flat, so you get more horizontal space saving options. 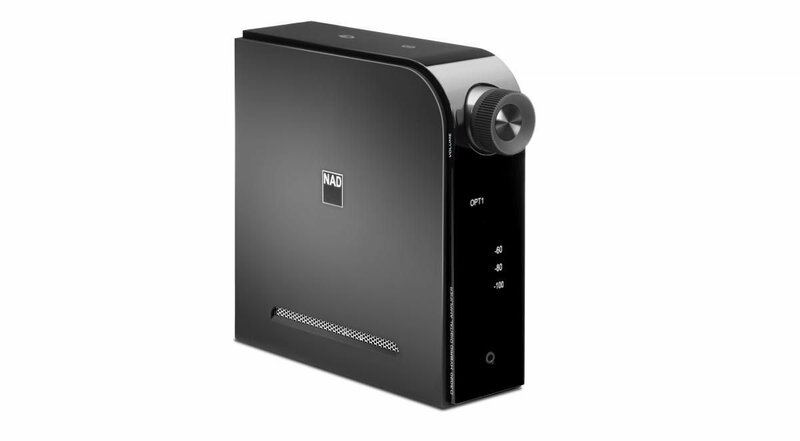 The NAD D 3020 gives you 24/192 DAC with 8 channels mixed to 2 and integrates the NAD PowerDrive™ component that delivers low impedance drive with high dynamic power at low distortion levels. The NAD D 3020 also comes with an innovative Bass EQ circuit that eliminates overdriving or damaging ported woofers. The USB input uses ‘asynchronous’ mode and supports 24/96 HD studio master music files. 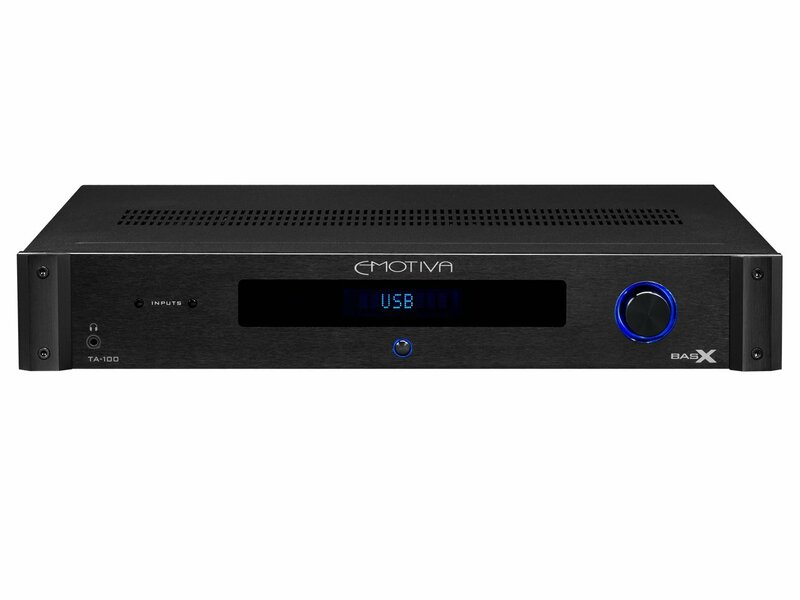 The coaxial and optical inputs let you connect from CD and DVD players, set-top boxes, and to media streamers. The analog inputs are designed to connect to Apple devices and non-digital audio components including FM tuners. The overall power output is rated at 30W per channel, which is more than enough power for any home entertainment system. It’s tight, its compact, it looks great, and it delivers a powerful and versatile 30W of unadulterated joy, and it’s the least expensive unit in this review.